So it's been a while since I have posted, I know! The end of 2017 has been insane and I have been spending as much time as possible with my family and focusing on things of that nature. However, 2018 is upon us and I have HUGE plans for the new year! 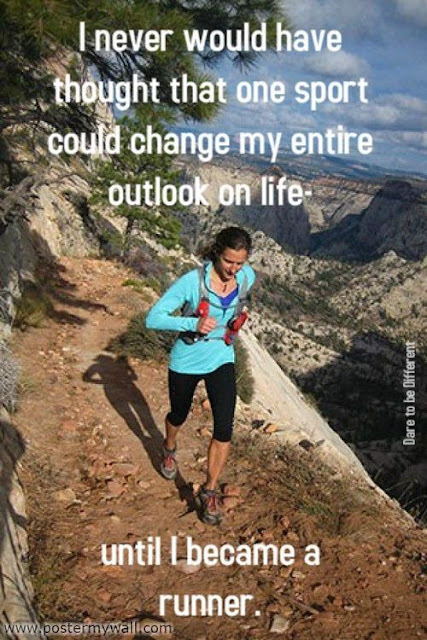 These plans include MANY more races, including my FIRST ultra-marathon! I'm going to be 30 in 2018 SO in honor of turning 30 I figured what better way than to run a 30 miler... If you're interested and want to check it out, it's the DOUBLE CHUBB -- Check it out and if you choose to race, PLEASE let me know because I'd love to meet you! ALSO, I have some big news you guys! A few months back I applied to be a BibRave Pro, what is a BibRave Pro you ask?? 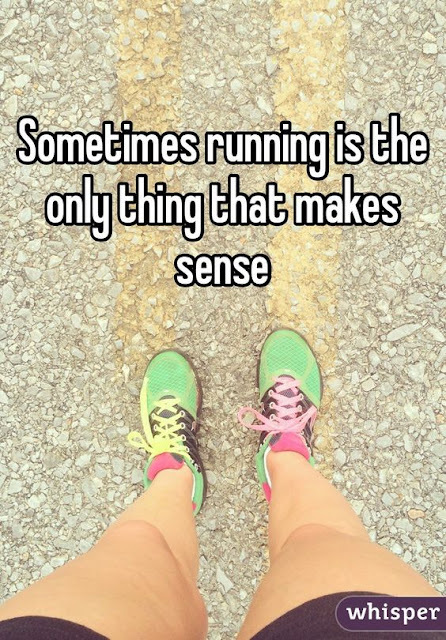 Well basically a BibRave Pro races in incredible races, gets to try out awesome running products and in turn gets to share with their followers experiences and reviews on everything running related!! AND I GOT CHOSEN TO BE A BIBRAVE PRO FOR 2018!!! I am also about to receive my first product to review, stay tuned for more information on that! I'm just beyond excited for what 2018 has in store for me, this blog and just everything else! As I said, please please stay tuned for more product reviews, training updates and SO MUCH MORE! 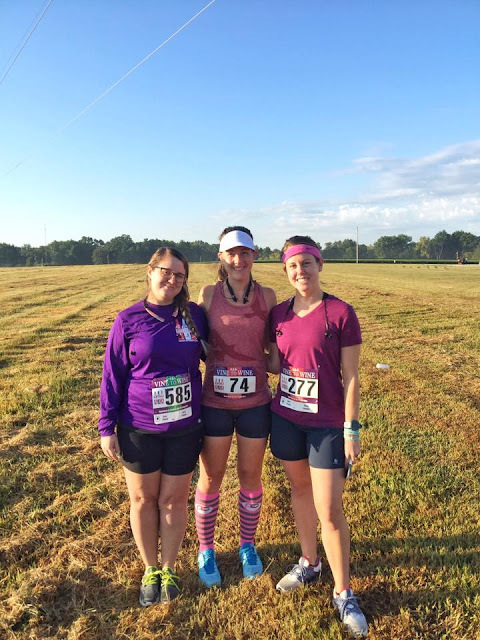 One more thing, I have added a new page up at the top of this blog called BIBRAVE DISCOUNT CODES... Be sure to check it out, frequently, as it will update with RACE and GEAR discount codes exclusively for me as a BIBRAVE PRO to share with all of you! Here's to a wonderful 2018!!! With 2017 swiftly coming to an end, really where has the year gone, I have been signing up for races left and right it seems like. I wanted to take a post to share with you all what races I'll be running in over the next couple months! I will also encourage those in this area to join up and let me know if you'll be there, I love making new runner friends!!! Race #1: The Blue Note 5k on October 7th. Starting at the Muny in Forest Park we are going to be running through Forest Park and back to the Muny lot. 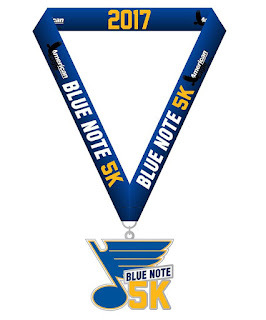 This race is taking place on the St. Louis Blues home opener and it's also the inaugural Blue Note 5k! I'm looking forward to taking part in this race, which I will be doing with my Mom! 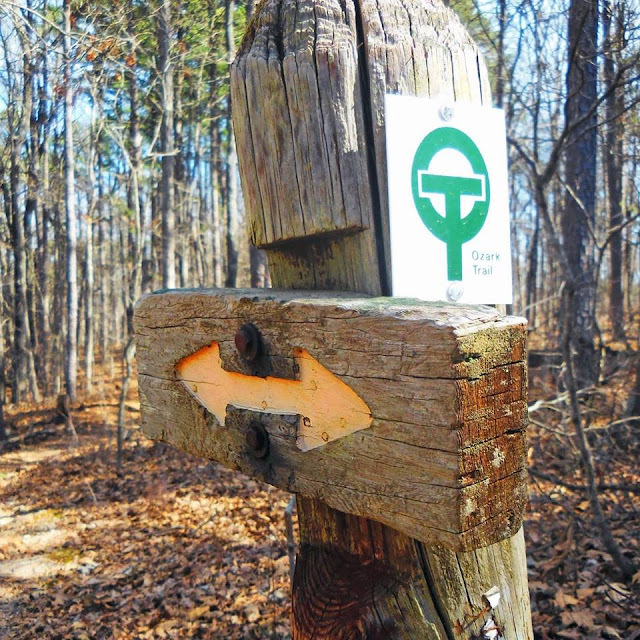 Race #2: The Quivering Quads II 13k Trail Race on Octover 28th. Taking place at Cuivre River State Park, we will be running roughly 8 miles of trails. This race is limited to 500 participants and we will be taking off in waves to avoid clustering of runners. This will be my first ever trail race and I couldn't be more excited. 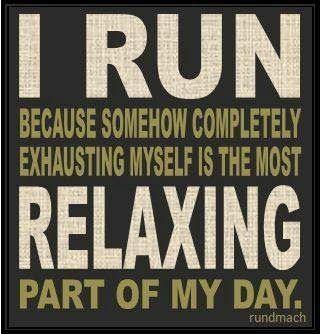 I will also be running this one with my Mom as well... She is where I get my love for running from! 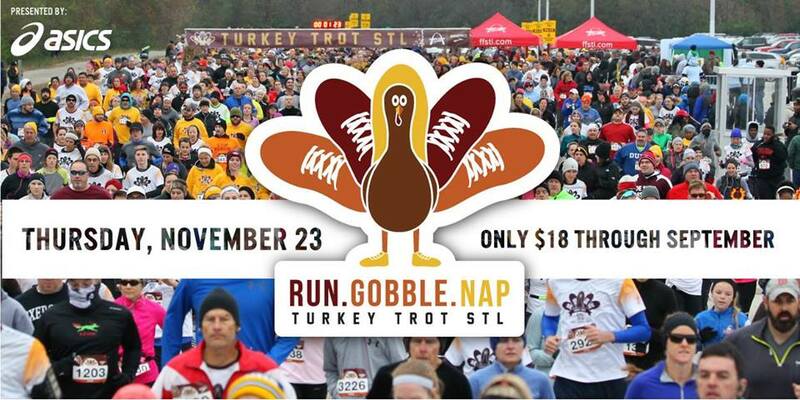 Race #3: Arnold Turkey Trot on November 23rd. I have to say this is probably the race I am most excited about. 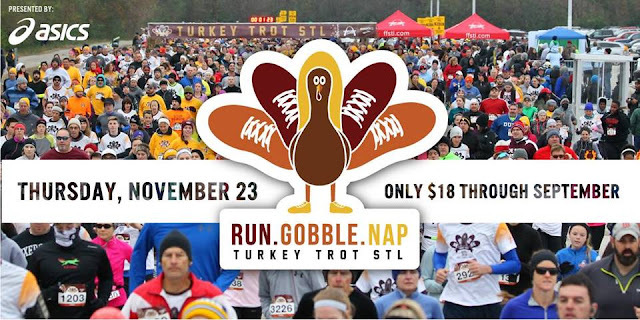 I have always wanted to participate in the Turkey Trot, okay maybe not always, but the past couple years I've been jealous of those who were able to swing it. Our Thanksgivings don't start until later in the afternoon so time in that manner was never an issue. 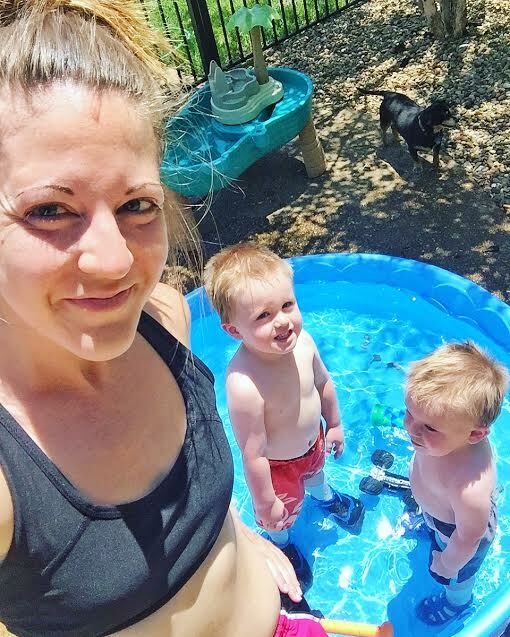 However, the past couple years our boys have been young enough to where getting them together and packing up for an entire day of family would take hours and I would be so exhausted trying to get everything done. This year the boys are not only going to be cheering me on they will also be able to run in the children's dash after the 5k! Both my boys love running, I mean what kid doesn't?! But I have been really wanting to cultivate this love and can't wait to see them go with all the other kids on Thanksgiving morning! I will also be accompanied by my Mom and also a couple of my friends as well! Definitely going to be such a great way to start Thanksgiving! I am planning on running this race next year so I figured it would be a good idea to support the race this year and volunteer my time. On top of that I also thought it would be a good idea to get an idea of how this particular race runs. 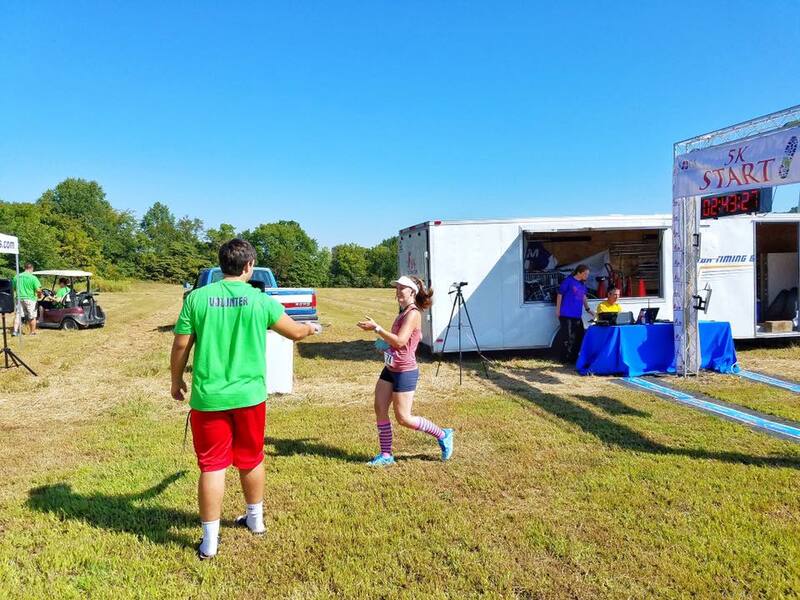 I am looking forward to helping out the runners and cheering them on while working at an aid station. I am really excited to learn from these runners and their crews and also to be able to help support a race with my time! So if you're going to be around during any of these races I would love for you to sign up and run!!! So it's been a while since I have written here. I honestly just felt a little overwhelmed with some stuff going on and just didn't have the drive to keep up with intriguing and quality content, instead of writing just to put something out I figured taking a break would be the best thing to do. So much has happened the past couple months and I can't wait to catch everyone up and rekindle my love for writing in this space at the same time! 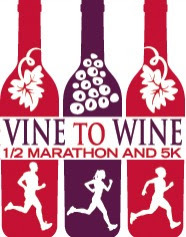 The last time we checked in I was in training for a half marathon, the Vine to Wine Half on September 9th! I originally was planning on a Full Marathon, however an injury occurred so I decided it best to take it a little slower and only go for the 13.1 this year! The Vine to Wine has come and gone and I wanted to share my experience with everyone here! My husband and I decided that we were going to stay overnight the night before in the town that the race was being held, Greenville IL (we are in the St. Louis, MO area). It was a little over an hour away and I was afraid of being super stiff the morning of had we chosen to drive in race day. 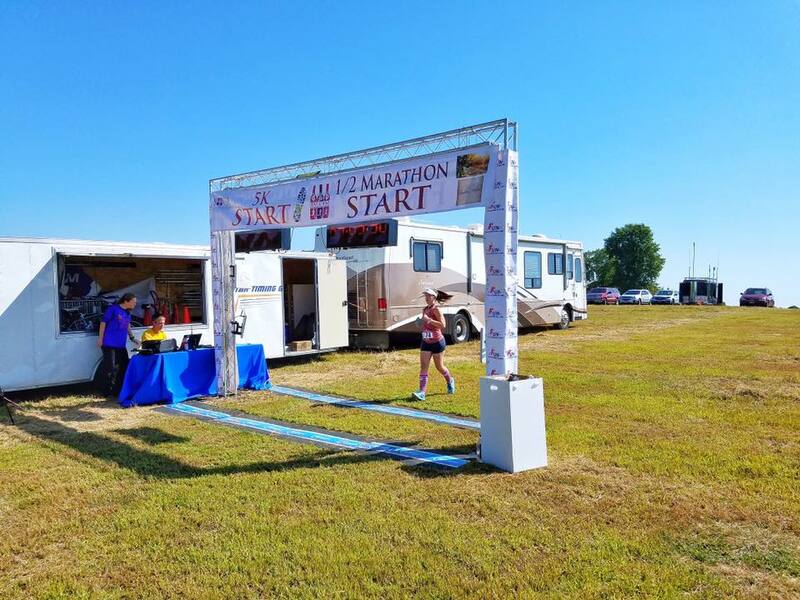 The race offered a 10% discount at a local hotel for all race runners, it was a very reasonably priced hotel and with the discount it was even better. I was quite happy with where we stayed, however I wish they had had a little bit of a nicer workout room (I had planned to run a mile or two when we showed up to the hotel before going to pick up our packets, however only one of two treadmills was working and a lady was already occupying the one, so I wasn't able to get in any run). We checked in and hung out at the hotel for a little while. My husband attempted to nap and I went down to the pool, put on the BibRave podcast and just sat with my feet in the pool and listening to that weeks podcast! A little before dinner time we headed over to the winery (The Family Vine), where the race was going to be held, to pick up our packets. We also sat outside, indulged in a couple beverages and ate dinner. 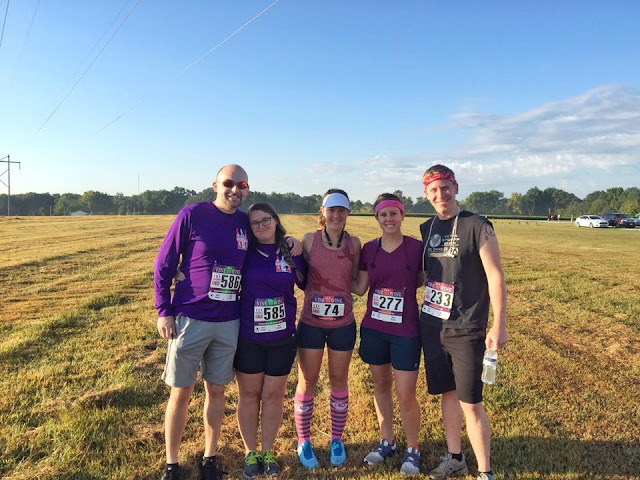 My husbands brother and his wife were also running in the 5k and chose to join us that evening to stay the night and met us for dinner and drinks as well! We headed back to the hotel and settled in for the night. I sat out all of my gear and took the obligatory #flatmelissa photo for Instagram. I slept pretty well that night and was ready to get up and get going when my alarm went off on race day. I woke up, got dressed, made some coffee and headed down to the continental breakfast. I grabbed half a bagel with some cream cheese. I was struggling in the bathroom department and had hopes that I would be able to go before the race at the winery, this did not happen and had some major effects on my running. 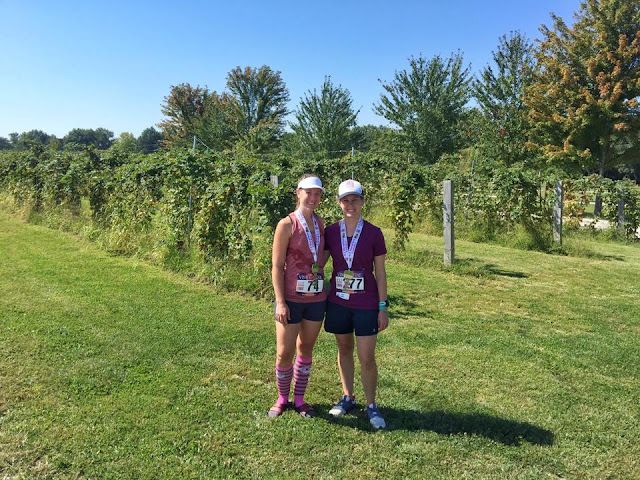 We met up with a couple of our other friends, who were also running the half, who drove in that morning, at the winery. I will say this race was super nice because it was probably one of the smallest races I've ever run in. I liked how the starting line wasn't crowded and we were able to get right up front and not feel crowded. Countdown commenced and we were off. The first few miles went quite well, the course was gorgeous and we were under nice shade. I was feeling quite strong at the beginning and had every intention of PRing that day. Around mile 6 everything sort of fell apart. My bathroom issues came back to haunt me, the heat started setting in and we were no longer running under any shade. To top it off the course was quite hilly and I just hate hills and have always stunk at running them, I'm attempting to work on this so courses like this don't defeat me. Either way I clocked in at 2:44:27 which was in no way close to my goal or my half PR. I felt defeated about mile 10 and knew I wasn't going to be back by my predicted time so I shot a text to my husband just letting him know that other than feeling poopy everything was fine, it was just going to take me a while longer. He was extremely supportive and sweet, bringing me to tears on the course. I was sure to thank him for being so supportive and caring in that moment, because it was what helped me finish the race! Crossing that finish line has never felt better, I was so glad it was over and also so proud of myself for completing the race! After the race we got our wine glasses and wine tasting and hung out for a bit. We all decided to go and get some lunch at a local Mexican restaurant and then headed on back home. All in all I would say the weekend was successful and the race was very well organized and the course was gorgeous. The only problem was with myself and my inability to get past certain elements of the race and my own body. I am very proud to have finished and to have also stuck with a training plan, hitting all of my long runs and making it a priority instead of pushing it off like I have always done in the past! I have many more races coming up this Fall and have already began planning out my 2018 races. I'll be getting into all of that in another post! 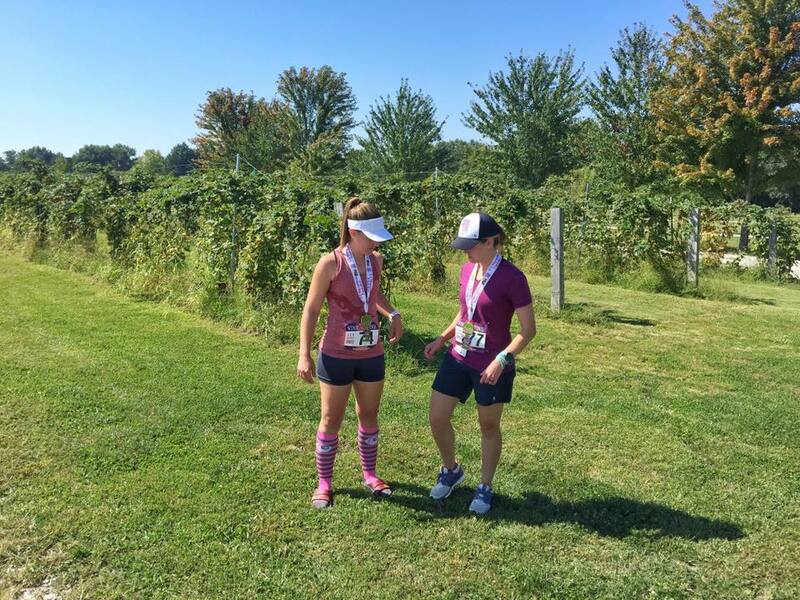 Well I think that about sums up my Vine to Wine experience and I would highly suggest checking it out if you're in the Midwest and looking for a nicely ran and lower key half marathon to run! I hope everyone has a great Monday and hope to see you back here next time! Well, today I'm going to share with you all an amazing online clothing store that I feel is absolutely worth your time and money to check out and buy from! Tobi is an LA based clothing company that showcases incredible styles and unique items. I can honestly say I want just about everything they sell!! I was recently asked to try out a few of their items and jumped at the chance, I was not disappointed at all! I will definitely be wearing these items (along with the many others I will be purchasing) for a long time! So this tank is probably a style tank that I have been oogling over for a long time now! When I saw it on the list of items I could choose from I jumped on it. Such a cute and versatile tank it's simple and understated but feminine and makes me feel very pretty when I wear it. 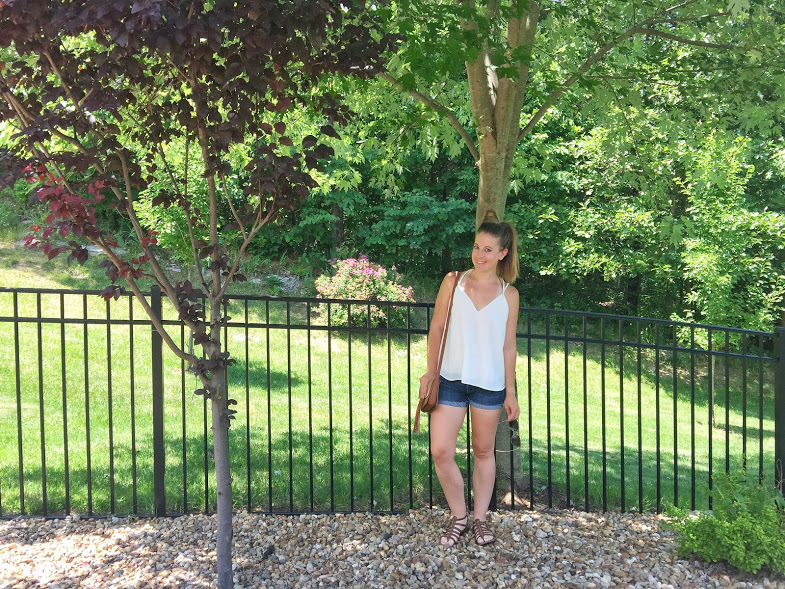 I styled it two ways to show how it can easily go from a daytime outfit seamlessly to an evening outfit with a simple change of bottoms! Daytime - Simple with shorts and sandals! So fresh and easy! Evening - With a simple change of bottoms you have a new and stylish outfit for a night out! This next dress is probably one of the most "out of my comfort zone" items I chose. I also happen to think it's my absolute favorite item I received. This dress was perfect for a day at the winery with some of our best friends. The day was hot and humid so this airy and light dress (which is NOT AT ALL SEE THROUGH, trust me it's hard to find a dress LIGHT and has such great material!) was beyond perfect! This last dress I can't wait to wear to our annual 4th of July / Shrimp-a-Palooza celebration (Basically our group of friends has made up this holiday that we celebrate on the 4th to add to the festivities of the 4th, we eat so much shrimp it isn't funny and this year we celebrate 10 years of this holiday!) a week from today! I added this dress to the list SPECIFICALLY for this occasion! It's the perfect dress to celebrate the 4th in, and to be honest I will be wearing it to a few other occasions coming up! Be sure to follow the links in this post to grab your own items like mine! Also be sure to check out their website TOBI and snag some awesome new clothes and for your very first order you'll receive 50% off! 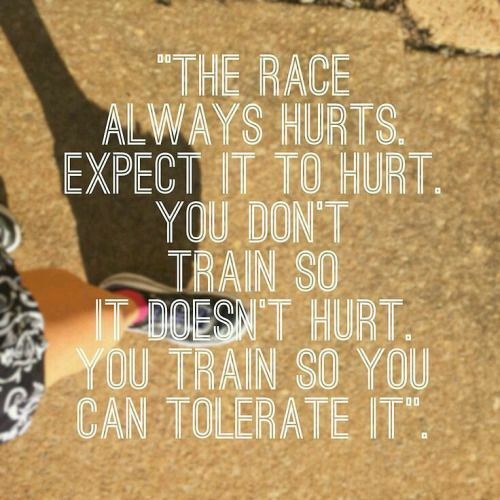 Come on back later this week and I'll be sharing with you all my past week of training for the Half Marathon this Fall... it does include a crazy story about how I severely bruised my toe. I'm extremely clumsy and it's all around a wonder I can put one foot in front of the other sometimes! It's that time of year! Time for us to kick it into high gear and get working on our Summer bodies! I don't know about you, but I for one slacked a bit over the Winter and even a bit during this early Spring. Who doesn't have a hectic life, right?! It was too easy to make excuses and to say "I'll just do it tomorrow." So, I'm getting my act together and jumping on the Summer body bandwagon with a new Sworkit Workout Series I've started up! 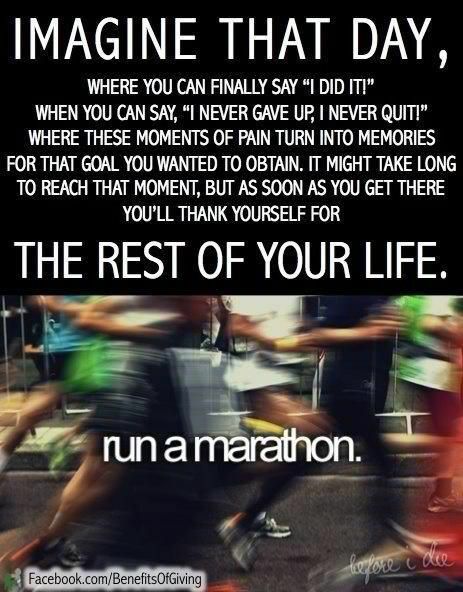 This Spring into Summer Series' goal is to get everyone motivated no matter where you are at in your fitness journey! 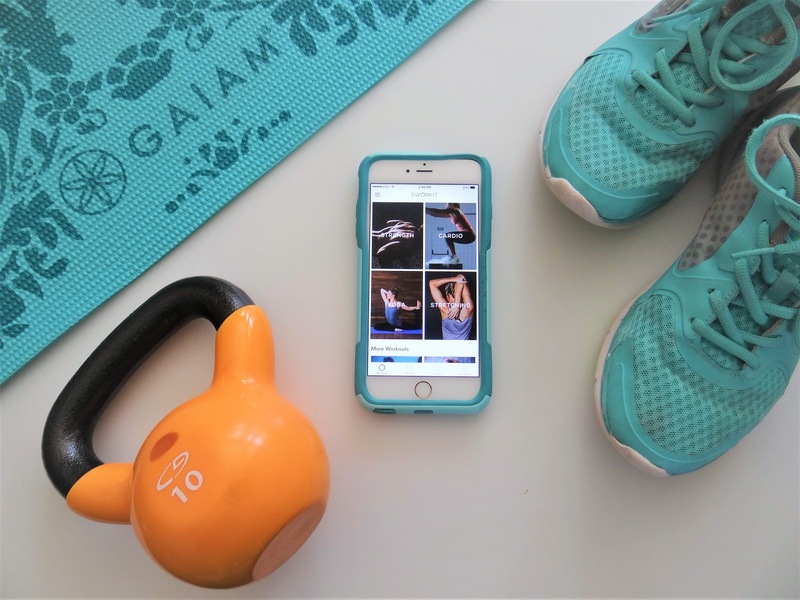 The workouts will be intense but the great thing about Sworkit is that you can adjust your timing and your breaks, taking it at the level that you feel comfortable and confident at! Without further ado here is the FIRST WORKOUT of the series! 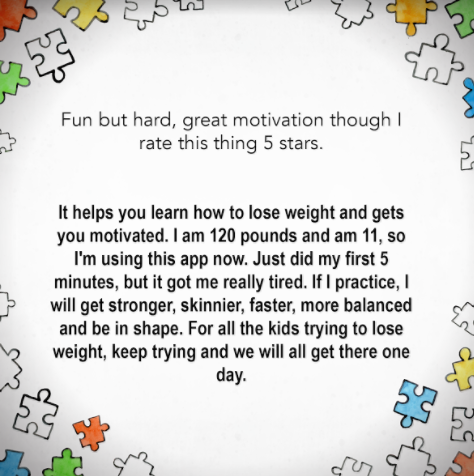 Head on over to the ALL NEW website or App and download the workout and get yourself started! I'm looking forward to the rest of the series and hope that you all will take this journey with me each week, checking back and sharing your own progress!